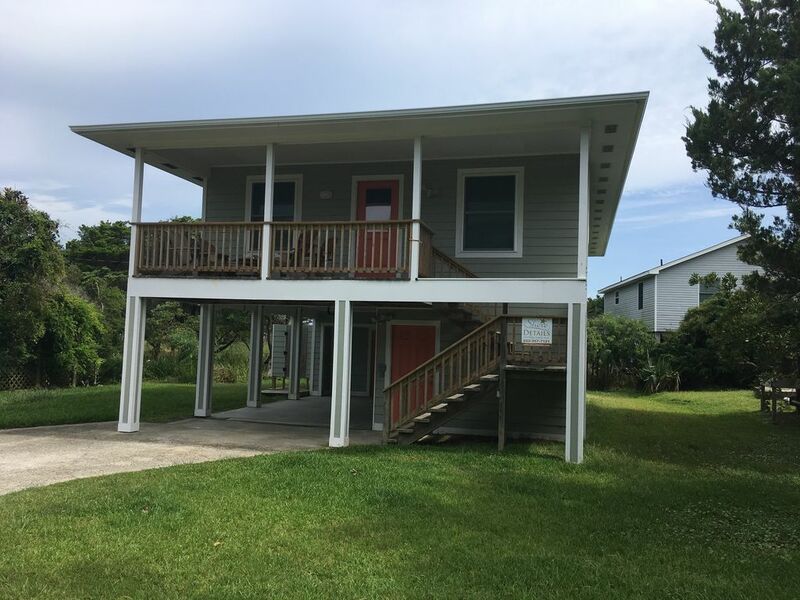 Beautifully renovated 3 bedroom, 2 bath cottage located in the popular Dunes Area of Hatteras, NC 27943, on the ocean side of scenic Highway 12 across from Teach's Lair Marina/Restaurant. The cottage is located on a very quiet street with just a short walk to private beach access to one of America's most beautiful beaches and a 1 minute car ride or 5 minute walk to Teach's Lair Marina. NEW walkway just installed to make access to the beach a breeze! Restaurants, shopping, the Pamlico Sound or a free ferry ride to Ocracoke Island are just a quick walk, bike ride or car ride away. Hatteras Village offers a wonderful and relaxing place to unwind and Sand Lot is just the place to call home while you're doing it. We love everything Hatteras has to offer, from the remoteness compared to the rest of the Outer Banks, to the great beach and great fishing. We come down to Sandlot to soak it all in and relax from the stress of the "real world". The proximity to both the beach and Teach's Lair Marina keeps both of us happy. Teach's Lair Marina accommodates all your boating needs. Place was great! Perfect location and has everything you need!! This was our first time to Hatteras and it did not disappoint. We went down for a long weekend of surf fishing. The owner was very responsive and informed us on local favorite restaurants and also gave tips for fishing. The house is every bit as nice as it looks in the pictures and we had zero issues with anything the entire weekend. If you are looking for a place to stay where you can truly relax and not have to worry about anything this house will allow you to do that. The house is within a 100 yard walk to the beach where there is a brand new walkway to the beach. The neighborhood was very quiet and peaceful. The house is also located very close to ramp 55 for off road vehicle access to the beach for driving. We had a great time this past weekend and I would highly recommend this property to anyone in the future. Visit here again when the ferry is running to Okracoke Island. Light house is close and a couple hours up shore we visited Corolla and saw the wild horses and visited Jockey’s Ridge dunes. Great beaches with lots of shells to pick up. Shipwreck of the Atlantic less than 5 min away near beach access. The dunes should hopefully be repaired soon and with it the access at the end of the street should once again be a breeze to use. Thanks for the kind words, see you next time!